Only one Strider (Simon Bottrill) made the trip (and only because I was camped around the corner) to Alderwasley for the 3rd of the Peat Pits Wood Fell Races. Disappointingly the terrible overnight weather in Derbyshire meant that some parts of the course where impassable so the race was reduced from 5 down 3 miles. 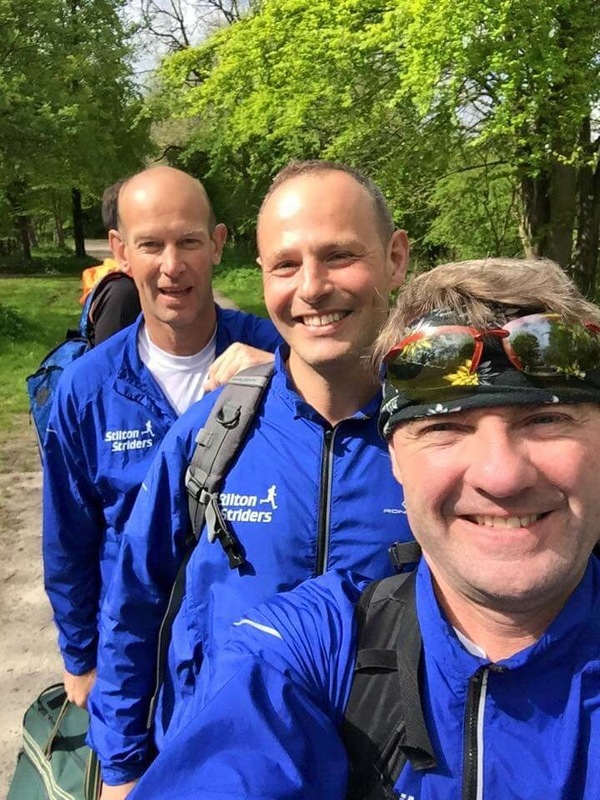 The Weald Challenge, comprising of 3 distances; 50km Ultra, Marathon and Half Marathon, followed the long distance paths of the Wealdway and the Vanguard way. The start began at 10.30am the road outside the Primary School in Chiddingly Village. Myself and Jenny Kent ran the half marathon distance, which took us over a route made up of 75% of beautiful footpaths/bridleways snaking through undulating fields and wooded archways. The weather started off warm, rising to an uncomfortable 20 degrees C for myself. The first check-point/drinks station was at 6.2m, so I chose to take around 300ml of water, which was lucky because of the slight mis-direction at around mile 4. This took many runners around 1.2m out of their way, and was attributed to a herd of cows taking umbrage to runners using a footpath across their field. Later, a directional arrow was also sabotaged twice during the race and took away possibilities of a course PB for those returning to the race. The race organiser was very dejected about this and sent out an apologetic email. 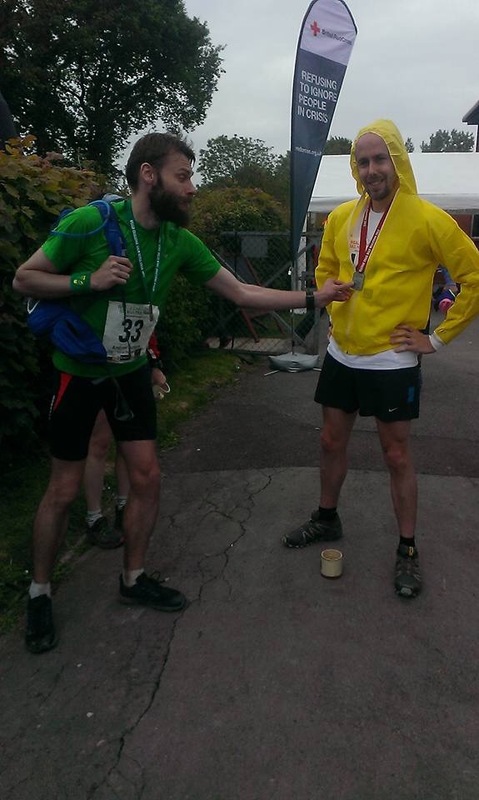 The drinks station was well received at my mile 7, and had coke, jaffa cakes, other cake and lots of water on offer. Trestle tables did the job! This year all proceeds from the Geneva Marathon for UNICEF (United Nations Children’s Fund) has been donated to Nepal. 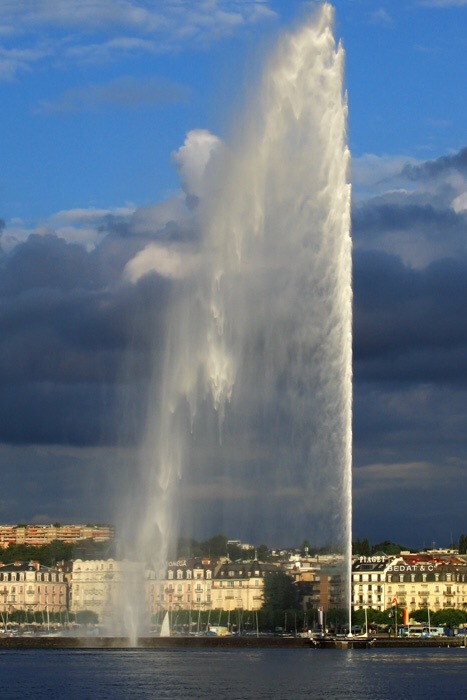 The Geneva Marathon provides runners with a unique route of 42,195 km including the most beautiful landmarks of the city as well as Geneva’s historical and cosmopolitan centre and its magnificent countryside surrounding it. Starting at Chene-Bouge in the Geneva suburbs with a stunning Alpine backdrop nestled in between the Jura’s crests and the Mont Blanc summits, you will run into the heart of the outlying vineyards, the Marathon winds itself through ten villages of the Geneva district, finally dropping down to the lake side for the last six miles past the famous ‘Jet d’eau de Geneva’ crossing the finish line on the Pont du Mont-Blanc. 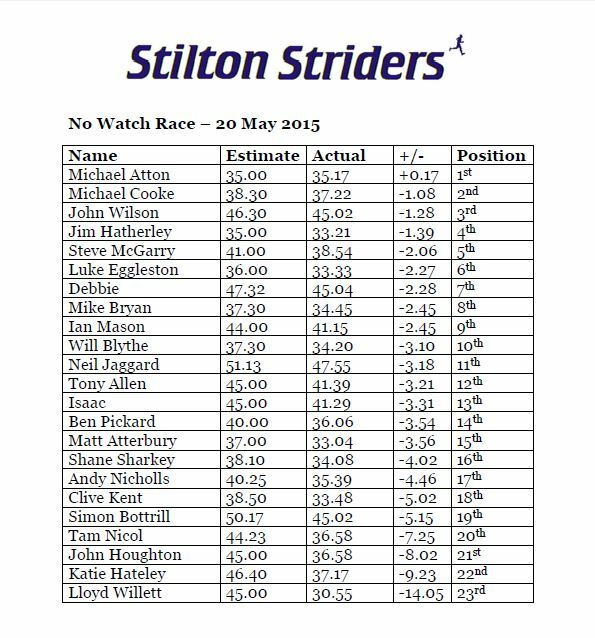 Wednesday 20th May saw the return of one of the Strider’s traditional summer runs, the “No Watch Race”. With only the attached instructions to go by, the 23 runners lined up in Hickling on a bright spring evening and gave in their estimated times – with estimates ranging from 35 mins to 51.13, it was clear that some were planning to put in real effort on the “in the region of 5 miles” course (actually 5.2 miles). 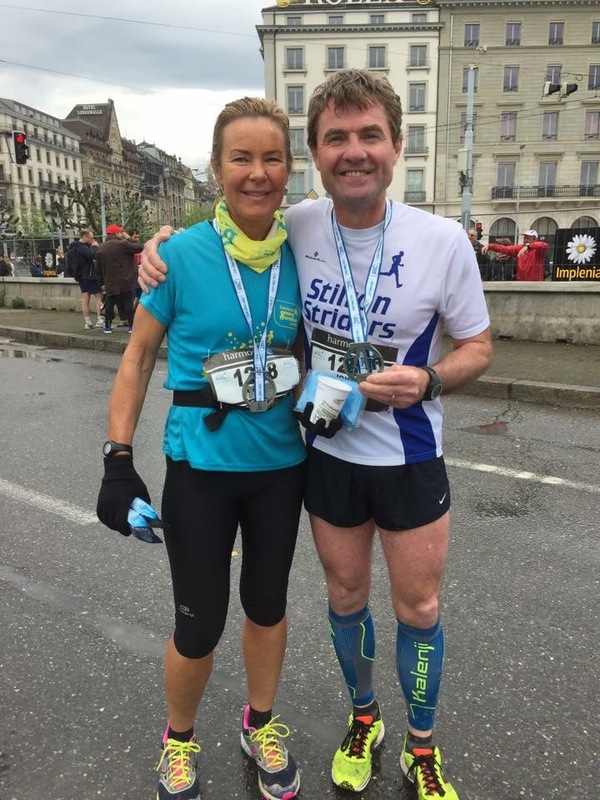 Now, the goal of the race is to finish as close to your time estimate as possible – for many runners this means trying not to get caught up in ‘racing’ against the rest of the group. With that in mind, you would expect to see a range of finish times, some quicker than estimated, some slower, right? Wrong. 22 of the 23 runners were quicker than predicted, often by a minute or two per mile! Either we are a pessimistic bunch, or just better runners than we give ourselves credit for – you decide…. With a few new/soon to be members, and a couple of people returning from injury, it was great to see people get into the spirit of running ‘naked’ (i.e. without a watch or GPS). We even had an epic sprint finish between Tam and John – although between them they were over 15 minutes quicker than predicted, so maybe that wasn’t ideal (although great to watch!). The overall winner (and only person coming in slower than their predicted time) – only 17 seconds out – was Michael Atton. Maybe the key to good pacing is running 4 days after your debut marathon? It was with mixed emotions that Andy Nicholls and I dragged our families the 200 miles up to the top corner of England to take on 2 of the many events on offer at the growing Keswick Festival Weekend.For Andy, his first ever triathlon and for me my first event on proper hills. Our wives decided on the flat and opted on a 1500m swim in Derwent water. The festival offers something for everyone with a mix of 5,10,25 or ultra50km trail runs around the hills and mountains (they felt like mountains anyway) as well as a lake swim and short or long triathlon. The long Triathlon being just £6 more than the short but twice the distance and we were sold. How hard could it be? Well, we were to find out. Registration was early but quick and efficient in the festival village by the lake on the outskirts of Keswick. We then set up our kit and awaited the 10am start. First up, the swim. 800m in 11oC water numbed the toes and fingers and the 340 starters splashing their way around in various attempts at recognised strokes. Beginners are definitely welcome here. Out of the lake and a short run to the bike before 35km of the best climbs Keswick has to offer. The scenery is breath taking. It’s a challenging route with the declines being as hard as the inclines. At least 2 people ended their race with downhill crashes. About 2 hours later and the 10km trail run was up last. The imposing hill / mountain-ette of Latrigg stands over Keswick daring you to tackle its paths and tackle it we did. A quick run out of town on Tarmac paths and then on to the steep trail up to the main zigzagging paths to the summit. The wind was howling but wow. What a view. From the top Keswick and festival village lies before you like a toy town next to a picture postcard scene of lake and hills was worth every blister, scrape, breath and swear word. Now, full on down hill sprint back in to town (pushing past tourists and shoppers who desperately tried to avoid a brush with 3 hour old sweat) and back in to the village to be cheered over the line in 3hrs06 for me and 3hrs38 for Andy, and to get our event medal. The evening provided festival entertainment with Dodgy amongst other bands and lots of food stalls around. Loads of things for the kids to do too and plenty of freebies available. The following day brought the other trail runs with the ultra starting at 06:30am and the others starting from 9am. It was an early start for a depleted Striders squad, ravaged by injury, missing the likes of Rob Beers, Simon Bottrill & Vicki Lowe. Conditions were perfect if a little cold, however after a hearty breakfast of poached eggs on toast the 3 intrepid athletes took to the start line, along with 166 other eager runners. Michael Atton led from the start with his trademark pace followed by Dan Valencia & then the experienced John Houghton running in his 16th marathon. 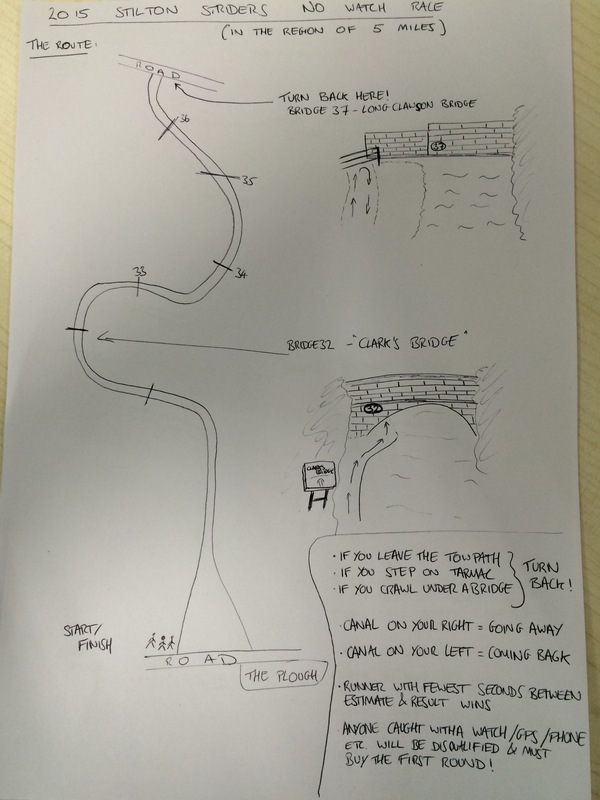 The course follows a railway line for 90% of the way with only slight changes in gradient & surface. The runners were treated to spectacular views over the beautiful Peak District national park however as tempratures rose, and fatigue set in the focus was set firmly on the 26.2 miles ahead. Striders stalwart John Houghton came in at 3:46:09 beating his PB by 4 minutes for the marathon! The Burton Lazars man came in 71st, running a fantastic,cleverly paced race. 2nd Strider in was Dan Valencia in 4:13:07 in 112th place. Valencia has struggled with his marathon form this year, amidst rumours that his dip in form is due to his controversial new footwear. 3rd Strider in was the giant Michael ( Mick) Atton. The Old Dalby runner came in at a highly respectable 4:16:55 in his first ever marathon! Being a member club of the Leicestershire Running and Athletics Network gives us access to expertise in a variety of running related areas. John Skevington regularly writes articles on a range of topics of interest to those involved in endurance running and the latest – on nutrition – is attached below. Previous articles, and other resources that may be of interest, can all be found via the Network website. This week’s outrun is the No Watch Race, which will be run from Hickling (meeting at 7pm by the canal basin, just opposite the pub). Details of what to expect can be found on the No Watch Race page of the website.